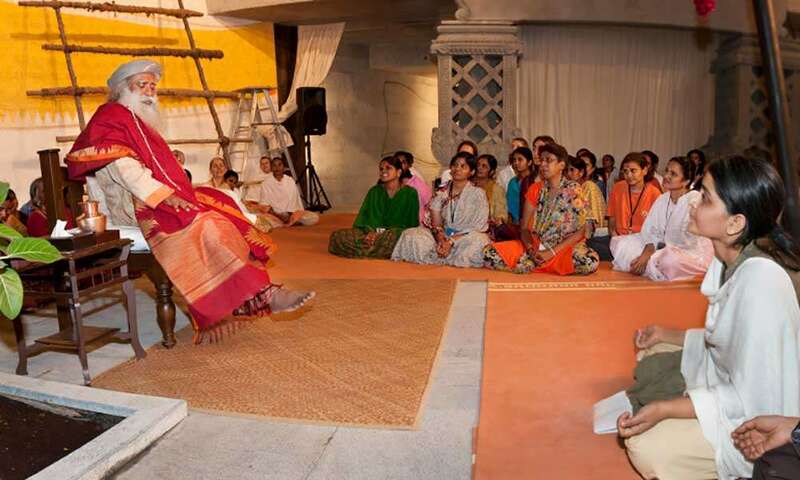 Sadhguru: Linga Bhairavi is slowly taking shape, not just in her physical aspect, but in her true essence. She is taking a little longer than what we thought, but, you know, she's the boss... This whole process that we are doing... I am not articulate enough to say what has been happening in the last eight to nine months, particularly in the last 20 to 30 days. Before I even utter a word, I know it is ridiculous to say it; it doesn't make sense. These are the times when I really feel sad because such incredible things are happening and hardly anybody can see it, not everybody can enjoy what is happening, because to see different aspects of life, to see the way existence is made, you need a different type of eyes. Unless you strive to grow this kind of eyes, you won't see, even if it is right in front of you. This consecration process has changed the fundamental chemistry of my system so dramatically, you won't believe it. I don't think this is the time to share about this because it is too raw right now. Maybe, after some time, we can talk about it to some extent. But still, we can never articulate this; I only wish everybody could feel it. I only wish everybody could see what is happening. It is one thing to enjoy the food; it is another thing to enjoy the cooking. Which is better? After all, we cook to eat, so maybe eating is better. Definitely it is more comfortable just to be eating and not to cook. But those who are involved in the intricacies of cooking, people who really cook well barely eat because for them, cooking is more important than eating. Eating is a secondary pleasure. But eating is still better than not eating; far, far better. Always, Devi was depicted as riding a lion or a tiger, just to show that she is a phenomenon, not something that you can use. And the whole of life is like that if you are with it, there is an immense benefit. If you are not with it, you can never use it. How could you use the sky? You have learnt to use the planet, but how could you use the sky? If there was no space, how would the planet exist? But you cannot use the space, isn't it? That is the greatest phenomenon, but you cannot use it. So, whatever is the greatest phenomenon cannot be used. If you learn to become a part of it, life happens fabulously well, that's all. So, next time we sit here it is going to be very, very different. This is not nice, gentle, subtle, refined energy. The Dhyanalinga is a very refined process. Refining it to that level of sophistication almost took my life. Here, with Linga Bhairavi, it is absolutely raw; no refinement at all. Please make this happen for yourself and above all, being here in the ashram, you must strive to see that this happens to as many people as possible; that is the important thing. 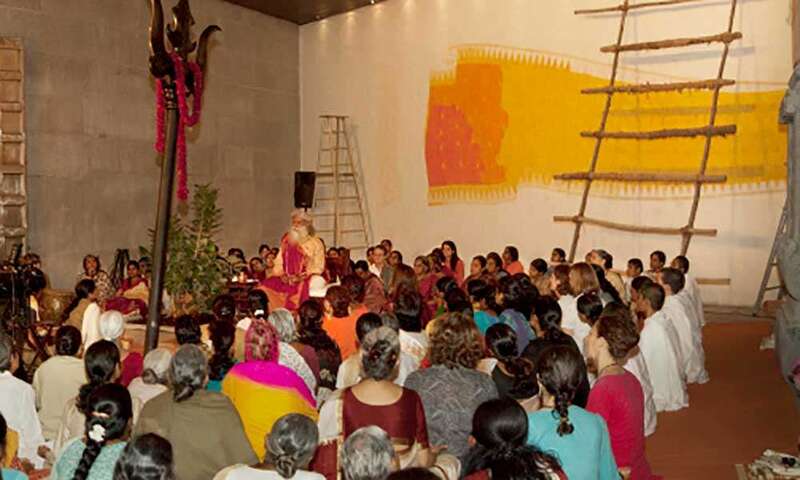 Sadhguru was invited to give a special talk at IBCN 2015, the business conference of the Nagarathar community.